Until we see a break lower and rejection of yesterday's upper distribution this could just keep going higher. 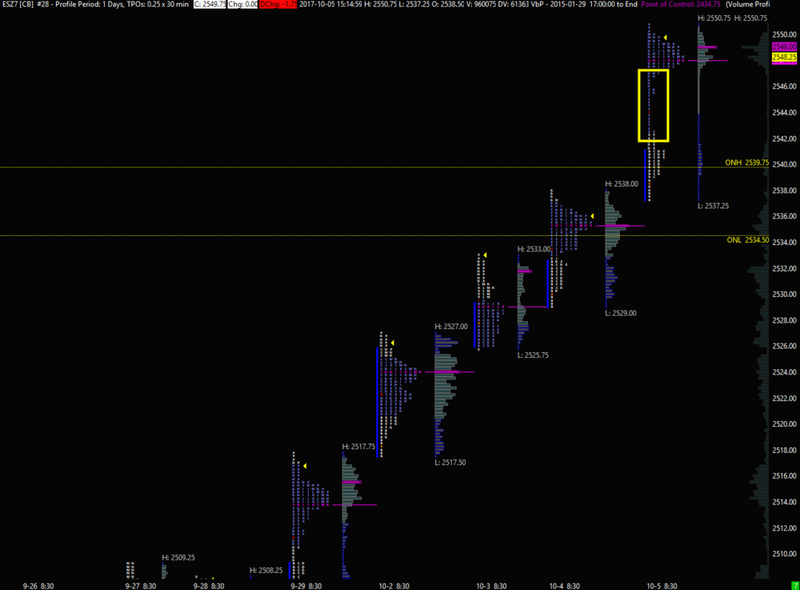 The poor structure from yesterday would be the first area to be repaired on the downside. The updated zones are below for today. It remains to be seen whether short term longs are going to cash in ahead of the weekend. A break of the overnight balance could lead to sharp spikes in either direction due to trapped longs or shorts.